Bhubaneswar: The ICAR-Central Institute of Freshwater Aquaculture, a constituent of Indian Council of Agricultural Research and a premier institute for research in freshwater aquaculture observed Rashtriya Mahila Kisan Divas today. This day is also being celebrated as International Day of Rural Women to recognize the role of rural women in agriculture and rural development. Prof. and Head Dr. (Mrs.) Swarnamayee Tripathy, Public Administration, Utkal University, Bhubaneswar was the Chief Guest on this occasion and in her speech, she highlighted the contribution of women in agriculture and allied sectors. Mrs. Sugata Nayak, Director, SISU Organic, Bhubaneswar graced the occasion as Guest of Honour. 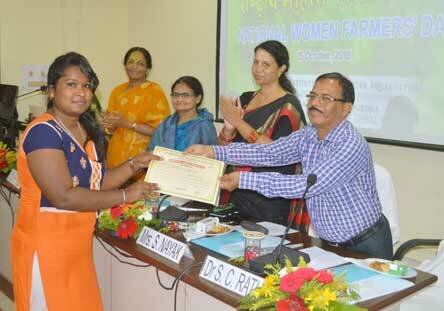 She stressed upon upliftment of rural women through adoption of organic farming. Dr. Bindu R. Pillai, Director, ICAR-CIFA in her address mentioned multidimensional role of women. She highlighted how women are backbone of rural and urban development. She also informed that ICAR-CIFA is actively involved in gender mainstreaming and capacity building of women in aquaculture. Dr S. C. Rath, Principal Scientist welcomed the guests and given opening remarks. 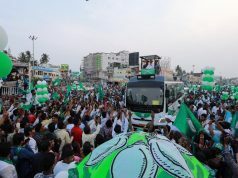 Around 120 farmers including 70 women farmers from Odisha were present at the event. Progressive farm women presented their view on this occasion. A videography presentation depicting the involvement of women in freshwater aquaculture and allied activities were also shown on this occasion. 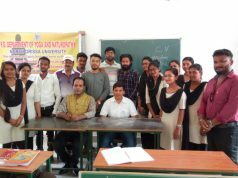 Scientists, students and staff of this institute were also actively participated in the program. The institute also felicitated 13 women farmers for their immense contribution in aquaculture development of the state. An exhibition was also organized by progressive women farmers. Dr Snatashree Mohanty coordinated the programme. The meeting ended with a vote of thanks from Dr. U. L. Mohanty, STO, ICAR-CIFA followed by National Anthem.